Black Sun is a Galaxy-spanning criminal empire characterized by amorality, efficiency, and long-term planning. It operates through legitimate business fronts, freelance mercenaries, and double agents. Under Prince Xizor and his second-in-command Guri, the organization has gained an underworld reputation for lavishly rewarding loyalty and competence while ruthlessly pursuing the families and friends of traitors. Black Sun recently took control of Reach Galactic, an investment and business services firm operating outside Republic jurisdiction. Under its aegis Black Sun is moving to expand its influence into Hutt Space, the Unknown Regions, and the Outer Rim. With one one of the most powerful private militaries in the Galaxy, Black Sun's representatives sit atop Galaxy-wide corporations: both fronts and legitimate enterprises. Black Sun itself has a share of almost every illegal market and industry in the New Republic. Agents ranging from reporters, politicians, spies, and slavers receive "bonuses" for feeding information and resources to Black Sun, often without realizing their ultimate employer. Rather than compete directly with the Hutt Cartel in the Outer Rim, Black Sun has taken the unusual step of providing support in the form of an unlikely partnership. While likely part of a long-term, unseen machination where the Hutt Cartel will unwittingly play the part of cat's paw in the future, the arrangement has been profitable enough for both organizations to continue pretending to be friendly. 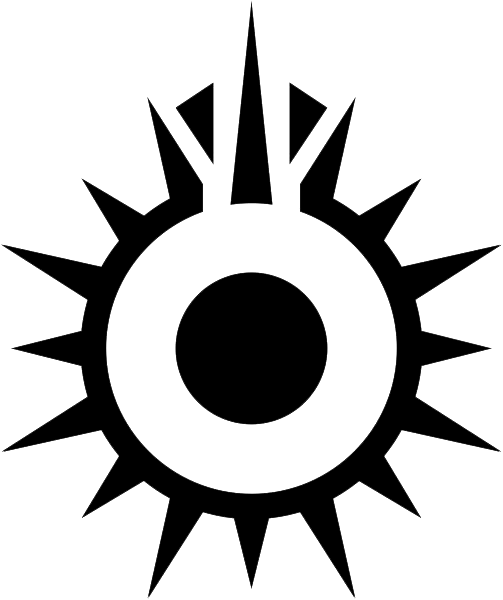 Black Sun represents a powerful crime syndicate that does not discriminate on the basis of anything but personal efficacy. Any character concept can find a place within the organization provided they are willing to contribute and exhibit an appropriate level of loyalty. Who knows what heights of luxury and opulence one can aspire to? There are three paths to joining Black Sun depending on your character's intended level of perceived loyalty and the types of events they wish to participate in. Contact the representative associated with the type of Black Sun representative you wish to be. A civilian agent is an individual that Black Sun employs on a case by case basis. They do odd jobs, provide consulting from time to time, or sell information to Black Sun as the opportunity presents itself. While they are allowed to hold membership in other organizations this comes at the cost of the opportunity to advance within Black Sun to its upper echelons. Consequences for indirectly working against Black Sun interests or failing to execute jobs tend to be less arduous for those that are not full members. Ryo Odessa heads the civilian agents of Black Sun. An operative is an individual that is on Black Sun payroll either directly or through one of its many subsidiaries. They are expected to always be working in the best interests of Black Sun, proactively seeking out opportunities and dealing with issues as they arise. While held to a higher standard than civilian agents and unable to hold membership in other groups, this comes with the opportunity to advance to any number of levels within Black Sun and reap the rewards that come with applied loyalty. 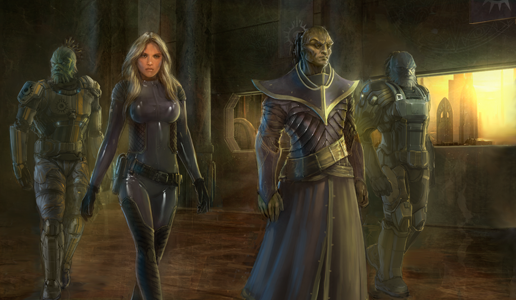 Guri heads the operatives of Black Sun. A member of Reach Galactic is unaware that they serve more overtly criminal masters than the usual corporate byline. They go about their day to day life as most of the Galaxy's citizens do just earning their paycheque and striving to better their lives. This path is for those that perhaps only want to dip a toe in to the criminal side of things or get involved organically by doing transit runs or perhaps participating in roles that appear benign on the surface but actually serve a darker purpose. Be courteous to everyone OOC, not just within the organization but everywhere on the game. Our characters may be amoral scum but we are not. If you have any issues with someone within the group, please contact Ryo Odessa or Guri for arbitration if you cannot work out your differences independently. Be active. There is no firm timeline but if you are away for some time you risk losing rank, relevance, or any variety of privileges within the group.